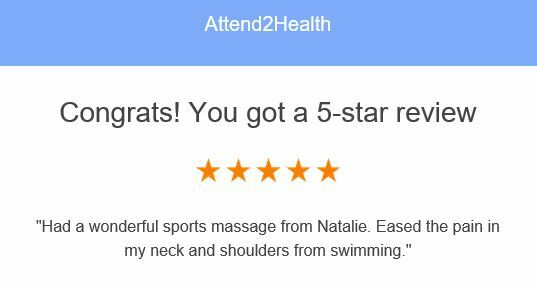 Here at attend2health we are very passionate about helping people and very proud of our reviews. We are very pleased with our reputation and the number of reviews we have. On google we have over 87 Five star reviews which is wonderful and on Facebook we have 65. We want to give you the best treatment possible and are keen to help in any way we can. By having lots of different practitioners we hope that if one type of treatment is not suitable then another type will be. To help with this we offer a free 15 minute chat with a practitioner so we can make sure you see the person right for you. We have just signed up to Trust Pilot to hopefully make it even easier to leave a review. If you mention you have left a review on Trust pilot we will give you £10 off your next treatment as a thank you for taking the time to help us. Simply click here to leave a review. 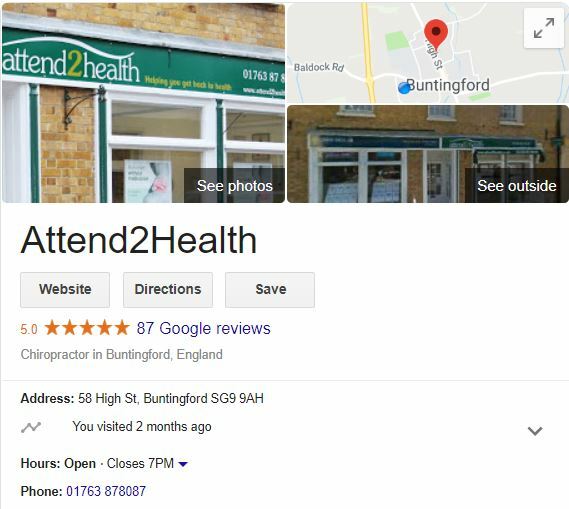 By leaving a review it gives other people looking for a chiropractor or osteopath etc the confidence to try us. Are you starting to think what to get people for Christmas? Do you want to get them something different but no idea what? Why not pop in to Attend2Health. 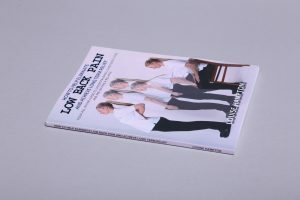 If someone you know has low back pain Louise has a new book out on low back pain with lots of tips and things to do to help. You could always combine the book with a gift voucher for a sports massage or an examination with a chiropractor or osteopath. We also have a fantastic pillow which is adjustable. This means you can increase or decrease the amount of filling to find the most comfortable solution for you. The usually retail for £79.99 but we sell them for just £48.99. 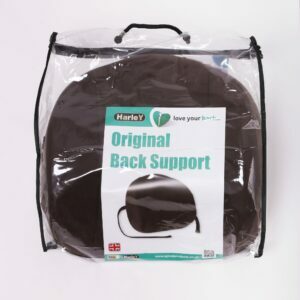 Our back supports are also a great gift if you have a sofa which isn’t very supportive or a deep chair at work. These are priced at £29.99. 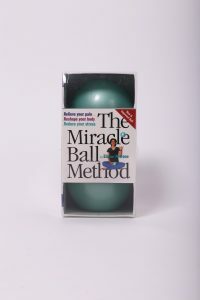 We stock these balls call Miracle balls which you lie on to give yourself a massage. They come with a little book of exercises to do with the balls and are a great way to keep your muscles from tightening up. These are priced at just £14.99. 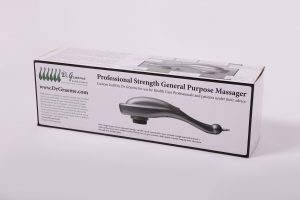 Another great gift is our lightweight massagers. These have a retail price of £58.99 but we sell them for £39.99. These work so well at reducing tension in muscles you only have to use them for a few minutes a day to really notice the difference. I hope you find this useful but if you want to try any products just let us know. 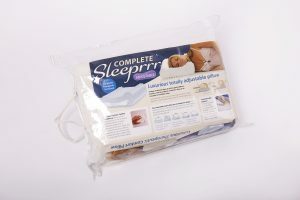 We offer a free one week trial of our pillow and back supports to make sure they are right for you. Ever wondered what we do at Attend2Health or how we can help – here are just 10 of the ways we can help… For more information or to book a free chat call us on 01763 878087. 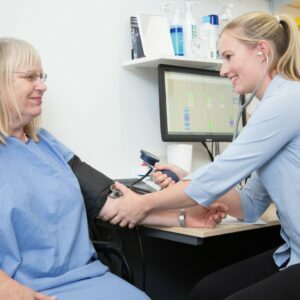 By taking a case history and finding out from you where you are getting any pain or things you do that might aggravate your back, this is our first step in finding out what the problem is. 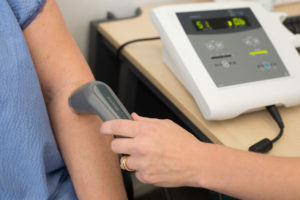 We then conduct a thorough examination which can include taking blood pressure and neurological testing such as testing the reflexes to work out where the pain is coming from and what it is affecting. 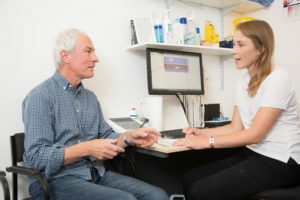 From this we can come to a diagnosis and work out if we can treat what’s wrong or whether you need further testing or to see the GP instead. 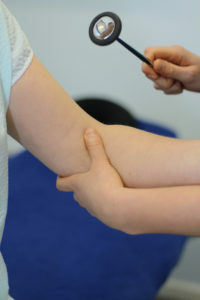 If your problem involves the muscles and joints we have a number of different treatment options which can help. One of those options is massage to help relax any muscles which are tight and in spasm. 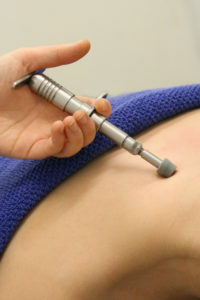 Ultrasound is a tool we can use to help relax muscles and help decrease inflammation. Gentle mobilisation or manipulation of the spine is an effective way to help loosen stiff or locked joints in the spine relieving tension on the nerves and reducing pain. 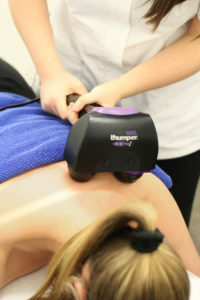 Other tools we can use to help include an activator which is very gentle and used to help the spine move better and a Thumper which is a type of massage machine which helps to relax tight muscles without being too painful. By using tape this can help support muscles and help for example to keep your shoulders back or give a little extra support to you low back if you have pulled a muscle there. It just gives the muscles a chance to recover if they are always working. Tape can also help treatment last longer as you usually wear it for a few days. 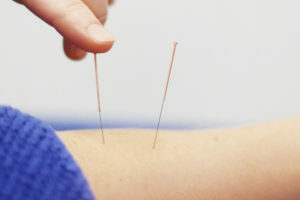 Acupuncture is another great way to reduce pain and muscle tension. Exercises are a great way to help strengthen your back to help prevent the pain coming back again. We can go through exercises in the clinic to make sure they are bring done correctly. 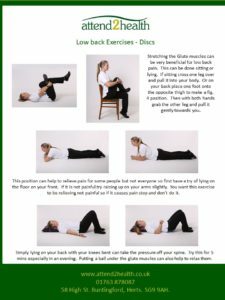 We will also give you exercises to do at home to help your back pain. Exercises are an important part of your recovery from any injury or pain as an area typically weakens when it is in pain. I hope you have found all this information helpful but if you do have any questions or want to know more please get in touch as we would be happy to help. Just call us on 01763 87087. I look forward to hearing from you.